Mr. Viktor Orban, the prime minister of Hungary who was hit with an ‘Article 7’ slap on the wrist by the European Commission earlier this week, is said to have issued a personal behind-the-scenes challenge to the French president Emmanuel Macron to contest the ideological future of Europe during next year’s European elections. 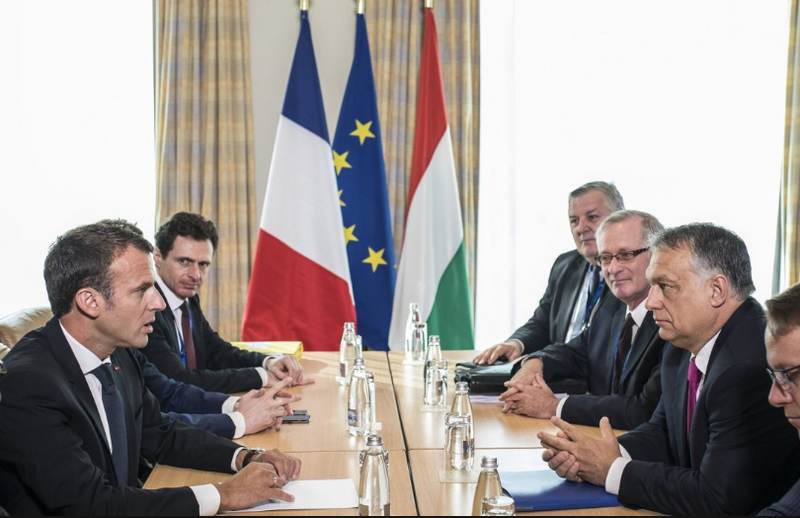 French President Mr. Macron had scolded both Mr. Orban and Mr. Salvini (the Interior Minister of Italy) for forging a tie between Hungary and Italy in terms of immigration. In response, Mr. Orban stated that next year’s elections for the EU would thus become a play out between the two of them, “the populist and the European”. Mr. Orban is strongly nationalistic and wants self-rule for Hungary in terms of immigration controls, whereas Mr. Macron aims for stronger European integration between the different member states. Related coverage: <a href="https://thegoldwater.com/news/36539-Matteo-Salvini-Joins-Steve-Bannon-s-Anti-EU-Movement-For-2019-Elections"> Matteo Salvini Joins Steve Bannon’s Anti-EU ‘Movement’ For 2019 Elections</a>. Meanwhile, Mr. Steve Bannon, the former White House chief strategist, is working tirelessly to try and forge a coalition of populist parties for those elections which for the first time could indeed present the right-wing populist parties as one big bloc. Everywhere, he can be seen forging nationalist alliances across Europe to in a bid to dethrone the EU’s liberal establishment. The French president is said to have accepted the challenge, acknowledging what he called a “nationalist-progressive” rift in Europe. Meanwhile, the Polish government has made it clear that it would veto any future sanction the EU would like to apply to Mr Orban’s Hungary and given the size and importance of its economy, it is therefore widely understood that the EU will refrain from further sanctioning Hungary.